Senior Citizen Passes are available to all Ridgewood Local School District RESIDENTS that are at least 62 years of age. The Senior Citizen Pass entitles senior citizens to attend all school district activities under the auspices of the school district such as plays, musicals, band performances and athletic events free of charge. 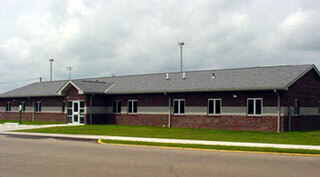 Residents may obtain a senior citizen pass at the Superintendent’s office located at 301 S. Oak Street, West Lafayette. The Ridgewood Public Schools exist to help all of the children of the school district realize optimum personal development and to participate in and contribute to their democratic society. To the end that such personal development may be realized, the instructional program emphasizes the dignity and worth of each individual as well as the importance of the fundamental skill subjects and the creative arts. In implementing the instructional program, the schools stress developing concepts, making comparisions and drawing conclusions; developing proper attitudes toward basic human values; developing respect for authority and hard work; and developing wholesome personalities. To the end that youth participate in and contribute to a democratic society, emphasis are placed on the importance of flexibility and adjustment to a fast-changing world; and participation in the democratic process appropriate to the the child's developmental level. Some links in this area will let you leave the District's websites. The linked sites are not under the control of Ridgewood Local and we are not responsible for the ontents of any linked sites, or any links contained in a linked site, or any changes or updates to such sites. We are providing these links to you only as a convenience and the inclusion of any link does not imply endorsement of the site by Ridgewood Local Schools.